It’s hard enough to manage employees in an office. Let’s be honest: most employees have things they’d rather be doing than working, so keeping them focused while they’re on the clock can be quite a challenge. Managing a remote sales team is even harder. At least when you’re in an office, you only need to walk over to an employee to see if they’re being productive. But when you’re dealing with field employees, you don’t have that luxury. Sales reps are aware that they’re not being watched. That makes them more likely to slack off while they’re working. Laziness isn’t the only possible cause of poor sales rep performance. The problem might be that you’re not giving your sales reps the tools they need to succeed. If you still plan your routes manually, you’re setting them up for failure. Route planning involves many factors, including traffic, weather, construction, and much more. It’s just too complicated for you to handle on your own. You’ll end up making mistakes and providing your sales reps with inefficient routes. You might accidentally direct a sales rep straight into a traffic jam, or you might send them the wrong way down a one-way street. Such mistakes will delay your reps, and delays are sure to upset your customers. Also, showing up late and dealing with annoyed customers will put your sales reps in a bad mood. This will negatively affect their performance during sales meetings. That’s why you need an automated route planner. 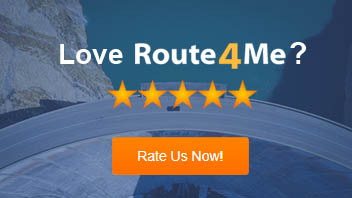 This tool handles all the complicated calculations involved with route planning for you and provides you with efficient and optimized routes in 30 seconds or less. Your reps will be able to show up on time more often. That will help you set the right tone for sales meetings. During a long and frustrating day of meetings, a member of your sales team might feel tempted to take an unapproved, extra-long break to relieve their stress. Then, they might fall into the habit of taking these extra-long breaks every day. These breaks would be a huge blow to your bottom line. They’re a waste of payroll dollars, and they cause your business to miss out on sales opportunities. Routing software comes with a GPS tracking feature that shows you where your employees are in real-time. You can use it to make sure your reps are doing exactly what you’re paying them to do. The beauty of tracking data is that you don’t even need to look at it for it to have an effect on your salesforce. They’ll know that it’s easy for them to get caught if they stray from their schedule, so they probably won’t even bother to try. It might seem trite, but keeping the communication lines open with your sales team is extremely important. What if you get so bogged down with work that you forget to share an important piece of information with your remote sales team? This scenario will create problems for your team, your clients, and your business. Routing optimization software offers a chat feature that will help you out in these situations. That way, whenever something comes up, you can immediately send an individual message or group message to the concerned individuals. The message will automatically appear in the route planner app installed on the sales reps’ smartphones, ensuring that everyone is kept in the loop. Messages in the chat feature don’t need to be exclusively about work. You can send personal messages as well, such as wishing everyone a great morning or sending uplifting thoughts to everyone as they spend another day making important sales. 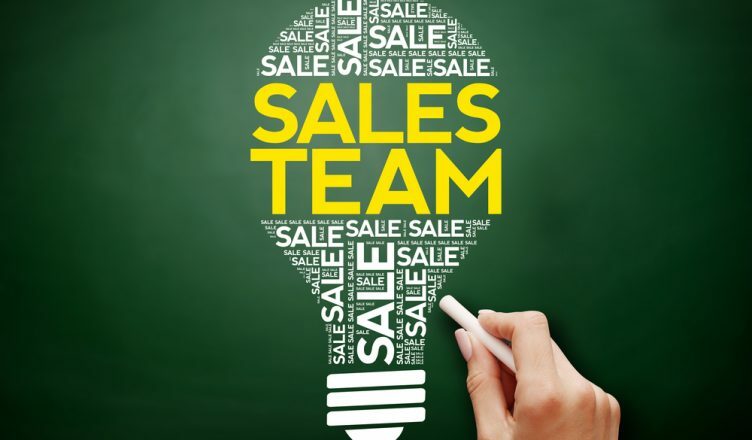 So, even though your salesform is not in the office, you can still make them feel like a connected team. Bonuses, raises, and promotions are a great way to motivate your employees – but only when they go to those that truly deserve them. If employees feel rewards aren’t actually tied to performance, they’ll have no incentive to perform well. A route planner with GPS tracking allows you to demonstrate that you’re completely objective when you decide who is rewarded and who isn’t. Tracking data will show you which employees made the most sales appointments; which employees took the longest meetings, etc. You can share this data with your employees to prove that the decisions you make are fair. This will lessen the chances of your employees feeling disgruntled and disheartened. What have you been doing to keep your remote sales force motivated? Do you have any questions about this article? Feel free to let us know in the comments section below. Why is it important for your sales reps to have the tools they need to succeed? How can you keep the lines of communication open between your office and your sales fleet? Why should your rewards process be tied to actual employee performance?